During the winter months snow drifts can unexpectedly cause a hidden danger. 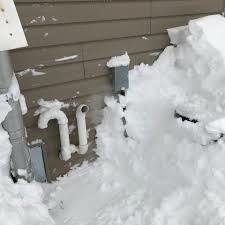 It is important to know where the furnace and other appliances that produce deadly CO2 are exhausted out of your home so you can make sure to keep the area clear when snow storms and snow drifts are present. Always keep carbon monoxide detectors on every level of your home, and test them regularly.